Scrutiny Councillors in Swansea are carrying out an inquiry into Equalities and as part of this they are meeting with a wide selection of people in order to understand the key issues affecting people’s lives. They will use the information gathered to help them to put together a set of recommendations to improve council services. The Veterans Club was launched in March 2018 with a view of bringing Veterans, serving members and their families together. Supporting them during times of hardship, loneliness as well as physical and mental struggles. 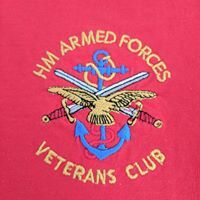 Veterans Club provide an approachable way of building friendships with a clear understanding of what they face when they have left the services, even if it is only from time to time. It is about having the provisions of a ‘place to go‘ and a ‘person to talk to‘ when that difficult time arises. It is also a start in changing the ‘reaction’ of a PTSD sufferer. They provide an accessible and relaxed ‘drop-in’ session in all local communities across the UK.